TORRANCE, CA / ACCESSWIRE / May 23, 2016 / Búcha, Inc. (formerly American Brewing) (OTC: ABRW), the California-based owner of the Búcha® Live Kombucha brand, and the New Age Beverages Group, a Colorado-based, leading all-natural tea and other healthy beverage company today announced the signing of a definitive agreement to merge the two companies and create an industry leading healthy functional beverage company. The combination with Búcha significantly augments the Company's scale, strengthens the infrastructure and leadership team, and accelerates the sales and distribution capabilities of the firm, leading to cost and revenue synergies in excess of $7.5 million. 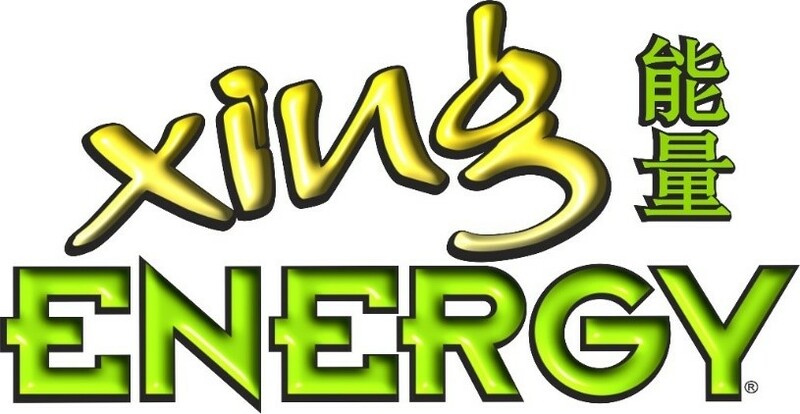 The transaction includes a combination of cash and equity totaling $19,995,000 in return for 100% of the assets and interests of New Age Beverages including their brands XingTea®, XingEnergy®, and Aspen Pure®. The consideration includes an initial $8.5 million cash payment to the majority owner of the firm that will be paid at closing, and an issuance of common stock in Búcha, Inc. (ABRW) to the Executives and the majority owner totaling $6,995,000. The total amount of shares will be based on the Volume Weighted Average Price ("VWAP") for the thirty days prior to closing. Finally, there is a promissory note for a deferred payment to the majority owner for $4.5 million in cash. Six months after closing, a 1% interest rate on any outstanding principal will be incurred until paid in full. The initial cash payment of $8.5 million will be financed via debt from one of a number of sources that have committed to provide funding at attractive rates. The transaction is expected to close on or about June 30, 2016. Post-closing, there is expected to be around 25 million shares outstanding on a fully diluted basis. The number of shares will fluctuate as the final total amount of common stock to be issued is based on the 30-day VWAP prior to closing. New Age Beverages is a highly profitable, >$50 million privately-owned firm based in Denver, Colorado with leading brands in the Ready-to-Drink (RTD) Tea segment and Functional Waters. The Company was founded by Scott and Tom Lebon, who will continue as President and Senior Vice-President of Sales of the new Company. Scott and Tom created XingTea®, an all-natural RTD Tea made with pure cane sugar, that is the Company's flagship brand. 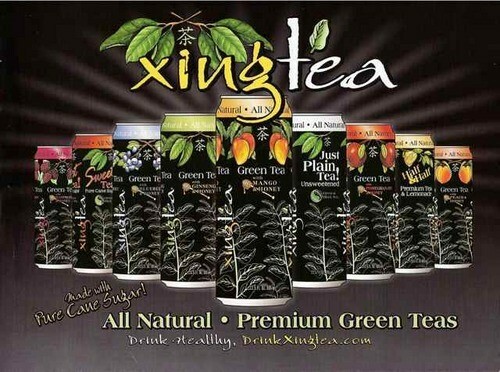 XingTea® is distributed in major national retailers across 46 states and in 10 countries around the world. 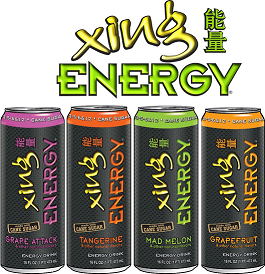 The Company recently extended the Xing brand with XingJuice®, and XingEnergy® launched in May 2016. 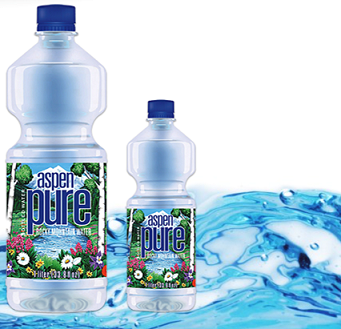 Aspen Pure® is the Company's Functional Water brand made from pure artesian source water in the Colorado Rocky Mountains. The Company also has a major direct store distribution (DSD) division and is the largest independent beverage distributor in Colorado and surrounding areas, directly serving more than 4,500 outlets. The new company will own outstanding growth brands in some of the fastest growing segments of the beverage industry. The group will possess the leading brands of Búcha® Live Kombucha, in the rapidly growing Kombucha category, XingTea® in the RTD Tea category, the new XingEnergy® in Energy Drinks, and Aspen Pure® in Functional Waters. The Kombucha category is a $529 million segment growing at around 40% per year. RTD tea is now a $6.6 billion category in the US alone growing at 3.6%, and Functional Waters is a $17.2 billion segment growing at 11.5% per year. This compares to Carbonated Soft Drinks, for example, that is declining around 2% per year and has declined for 11 straight years in the US. The newly combined entity will be renamed the New Age Beverages Corporation and will be based out of Denver, Colorado. The group will focus on sales, marketing, and distribution and will continue to utilize its national outsourced manufacturing network. It expects significant organic growth via distribution, and to add other healthy functional beverages to the portfolio. Brent David Willis, who will be the Chief Executive Officer of the combined company, commented, "The combination of New Age and Búcha creates a credible platform to compete against the traditional large beverage companies. I am excited to lead the new company together with Scott and Tom, who I have known for a long period of time. They are very well respected in the industry and I am confident that we will be highly complementary in what we bring to the new operation. We will have the scale and capabilities to effectively compete, and will provide a one-stop-shop for retailers with excellent growth brands that meet consumer's needs for healthier alternatives." Búcha, Inc. is one of the leaders in the rapidly growing Kombucha category. 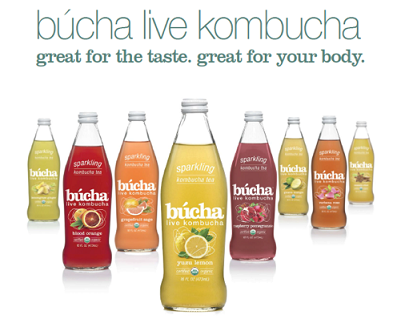 The Búcha® Live Kombucha brand is one of the fastest growing brands in the segment. It was recently named as a breakout brand for 2016 by the Hartman Group because of its 353% growth 2012-2015, and its mainstream appealing flavor profile. Búcha, Inc. is the new name of the American Brewing Company, an award winning craft brewery that was founded by Neil Fallon, who will continue as Chairman of the new Company. The brewery was recently sold to enable the acquisition of Búcha® in mid-2015 and establish the platform as a healthy functional beverage company. Mr. Fallon commented, "I am extremely pleased with the rapid evolution of our firm, and see great potential for the new Company to drive significant shareholder value. The leadership team at New Age is outstanding and driving Búcha® through their distribution and Xing® in ours will significantly accelerate the trajectory of the both firms." As part of the combination, the team has identified more than $7.5 Million in cost and revenue synergies to be gained over the next 12 to 18 months. A convergence committee has been established that begins work immediately on the identified areas of savings and growth spanning culture, cost efficiency, and sales, distribution and marketing. In the cost synergy area, the group will realize more than $1 million in immediate savings in operating expenses and infrastructure convergence. The group is expected to operate with significant lower financing and interest expenses, and achieve significant operational efficiencies in sourcing, production and shipping which will have a material impact on gross margin. New Age Beverages on its own generated more than $3 million in free cash flow in 2015, and the combined group is expected to significantly add to this as the cost synergies are achieved and flow through to the bottom line. In revenue synergies, the group intends to expand XingTea® into Búcha's food, drug, and mass customers and similarly expects to expand the Búcha® Live Kombucha brand into XingTea's food, drug, and mass customers. The group will also expand Búcha® into New Age's captive DSD distribution system that covers 4,500 outlets. Búcha® currently generates an average of around $2,000 in revenue per outlet annually, so as this synergy materializes it will have a significant impact on top-line growth. Scott Lebon, President of the newly combined group commented, "I am very excited with this new partnership that will provide us the resources to significantly expand XingTea's presence with retailers and consumers. We know we have a great and preferred brand in the category that we will now be able to grow along with Búcha® Live Kombucha, in the exciting Kombucha space, our new XingEnergy®, and our Aspen Pure® brand in the Functional Water segment. With this new structure and together with Brent and his background, I see nothing that can stop us from becoming the largest healthy functional beverage company in the world." Based in Torrance, California, Búcha, Inc. was created in May 2016. It was originally founded as two separate companies in 2010, American Brewing and B&R Liquid Adventure. In 2014 American Brewing became a public company trading under the symbol ABRW, and in 2015, the Company acquired 100% of the assets of Búcha® Live Kombucha from B&R. American Brewing then sold their brewing assets to focus on the new business. The Company is the owner of the Búcha® Live Kombucha brand, one of the fastest growing and leading brands in the rapidly growing Kombucha (fermented tea) category. The Company's website is www.mybucha.com. This press release contains forward-looking statements that are made pursuant to the safe harbor provisions within the meaning of Section 27A of the Securities Act of 1933, as amended, and Section 21E of the Securities Exchange Act of 1934, as amended. Forward-looking statements are any statement reflecting management's current expectations regarding future results of operations, economic performance, financial condition and achievements of the Company including statements regarding American Brewing's expectation to see continued growth. The forward-looking statements are based on the assumption that operating performance and results will continue in line with historical results. Management believes these assumptions to be reasonable but there is no assurance that they will prove to be accurate. Forward-looking statements, specifically those concerning future performance are subject to certain risks and uncertainties, and actual results may differ materially. American Brewing competes in a rapidly growing and transforming industry, and other factors disclosed in the Company's filings with the Securities and Exchange Commission might affect the Company's operations. Unless required by applicable law, ABRW undertakes no obligation to update or revise any forward-looking statements.